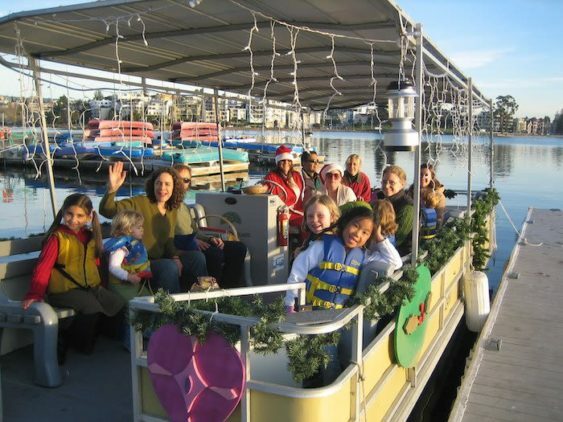 Bring your friends and families to Lake Merritt Boating Center, aboard their Pontoon Water Sleigh and enjoy hot cider, cookies, and caroling. Experience a unique view of Oakland as your Water Sleigh glides past the 18th Street Fountain & Holiday Cove before returning to the Boating Center. Your group can charter the whole boat for $120 or you can buy individual tickets for their 6 pm tours for $8/person. Please call to make reservations.